It's the greatest show on earth! What better way to watch it than through the eyes of children! I loved seeing the expressions of joy on my children's 3 faces as we enjoyed opening night at Ringling Brothers Barnum and Bailey SUPER CIRCUS HEROS. The show did not disappoint-We were on the edge of our seats wondering what would happen next, thrilled and excited over the death defying stunts performed. And the show stopper for me as always is all the animals-the beauty and grace of the animals are always taking my breath away. If this show is coming to a city near you we HIGHLY recommend this affordable family friendly show for all ages. A Great time will be had by all the performers really bring you right into the show. Ivan Vargas and Andrew Hicks great job on keeping us laughing! There was never a dull moment and really who doesn't love a clown? High-wire act and Motorcycle Globe-My daughter was so impressed to see that one of the motorcycle riders was a girl! It made her eyes just sparkle with excitement! Martial Arts Display-WOW! My 2 boys loved them! They were so thrilled to watch these warriors apply powerful concentration and skill to break wooden and metal poles in one precise strike. Teeterboard/Russian Barre-showcase a mixed act full of high-flying skills with energy and pizzazz. Edge of your seat excitement here folks-a show of beautiful aerial strength! 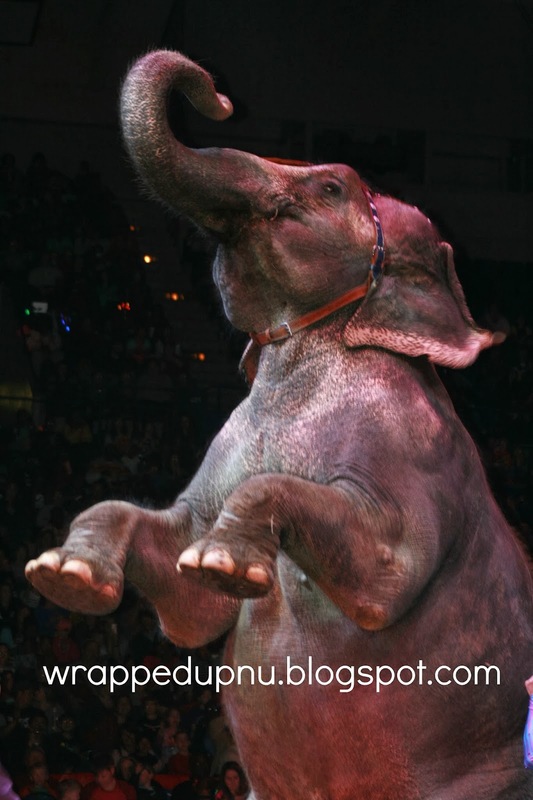 Mixed Liberty & Dog & Pony Act & Elephants-Yep, my favorite part of the show! I love the animals! You can really tell these animals are loved and well taken care of and love to be on stage! Ringmaster-who will show audiences what it takes to be a superhero as he introduces the amazing acts from around the globe. 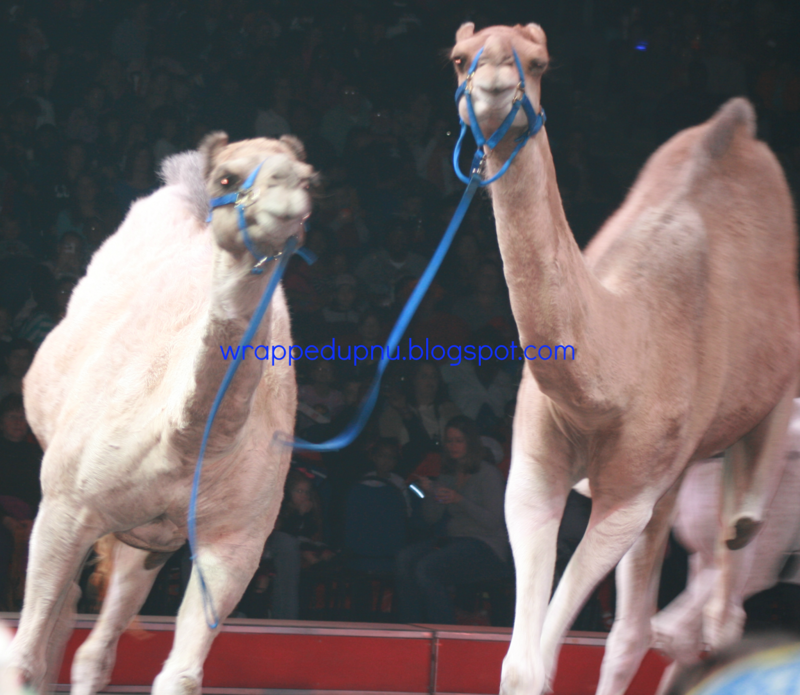 Thank you to Ringling Brothers Barnum and Bailey SUPER CIRCUS HEROS! The Nunn family truly had a night to remember! Congratulations to the winners of the family 4 packs of tickets! Ringling Bros. and Barnum & Bailey® Presents Super Circus HeroesSM, showcasing wonders from the marvelous to the magnificent, every day is extraordinary in this action-packed super circus, filled with superhuman athleticism, power and pageantry that will have Children Of All Ages discovering their own superhuman strength. Amazing elephants, horses, camels and more alongside astonishing acrobats, awe-inspiring aerialists and some over-the-top clowns that will have audiences in stitches… of laughter of course! 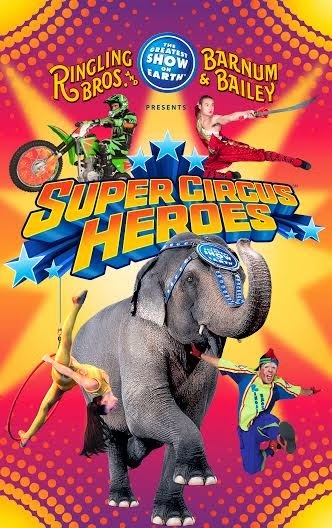 Come join us in celebrating the bravery, courage and honor that lives inside all of us at Ringling Bros. and Barnum & Bailey Presents Super Circus Heroes: far from ordinary, beyond extraordinary!